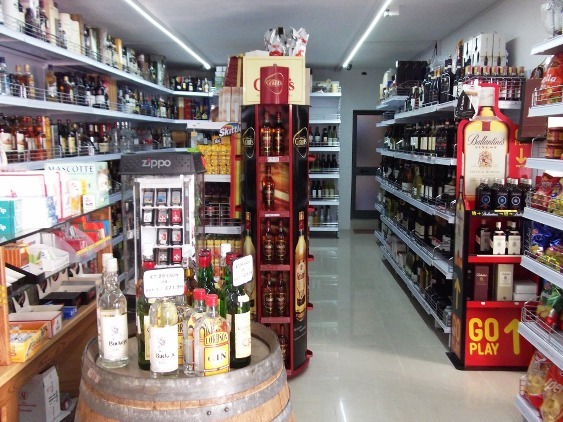 Prices of beers, wines, spirits & tobacco in this area are generally competitive even from retailers. 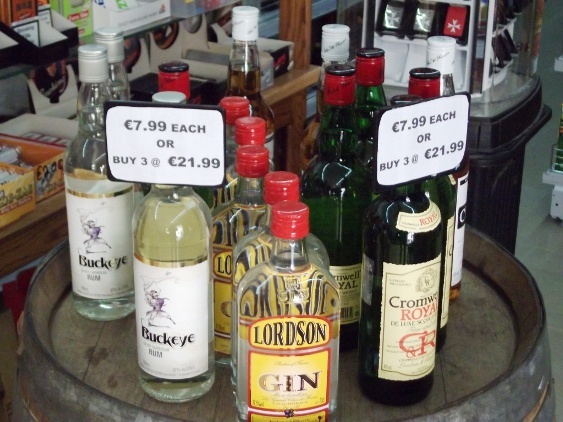 Most offer a very wide selection of local & foreign wines & beers. The St Paul's Bay region has plenty of outlets so there's no need to go far either. Alexander’s Wines & Spirits, Triq il-Maskli, Qawra SPB 1480 Tel: 27021013 / 79498025. Charles Grech & Co Ltd., 59,	Dawret il-Gzejjer, Bugibba SPB 2503 Tel: 21572400. Crest & De Best (The Bottle Shop & Tobacco), 9,	Triq is-Sajf, Bugibba SPB 2601 Tel: 21573688. Habits Cash & Carry, 143,	Triq it-Turisti, Bugibba SPB 1027	Are you looking for a great selection of wines, branded spirits & beers at the right prices? Then call at Habits in Turisti St next door to The Casa San Paulo. We have it all here at wholesale prices including cigarettes & tobacco, gift wrapped items & even hampers. Best prices in the local area. Open to the public Monday - Saturday til 7pm. Tel: 21585890 or 99407621. Hansa Wines & Spirits, 29,	Triq Barnaba, Bugibba SPB 1312 Tel: 21581111. Izola Wines, 25, Christabel, Flat 8,	Triq Martino de Redin, St Paul’s Bay SPB 3463 Tel: 21570987. Shop N Bag (closed / to let), Triq it-Turisti, Bugibba SPB Tel: 21580050. The Vineyard, Triq il-Qawra, Qawra SPB 1902 Tel: 21570389. Tipsy, Triq it-Turisti, Qawra SPB 1023 Tel: 21572963.